Does True love really go beyond forever? One night… and Varun is a changed man! What happened that night? What is the secret that is keeping two lovers away from each other? Will they ever meet or will they stumble to the circumstances and move apart? Also read about her friends: Soumitra, a quirky guy who does black magic as a hobby. Rucha, who is confused in a rebound relationship. Siddhi, who is in love with her secret boyfriend. 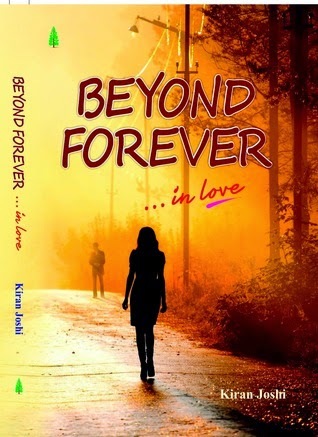 Beyond forever is a powerful emotional ride of friendship, love, promises and family ties. Kiran Joshi was born and brought up in Delhi, India, and completed a degree in physiotherapy from Delhi and later did business management (HR) from Mumbai. She has worked as a physiotherapist in clinics, hospital and special school and also worked as an Assistant Manager-HR in Wipro-Pune. 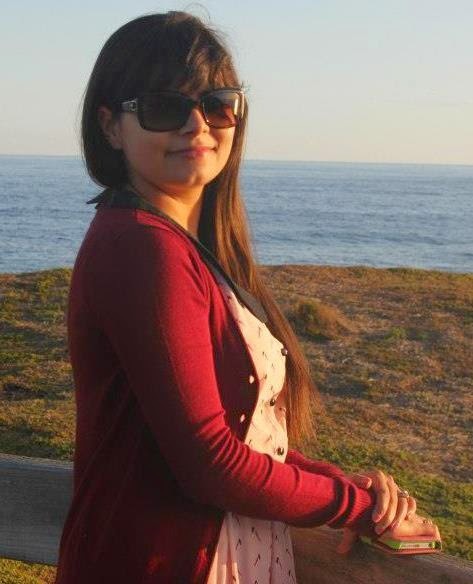 Recently, she has shifted to Melbourne, Australia and is working in a big recruitment firm. Her friends describe her as a hyperactive, bold and always-in-the-limelight kind of person. While she thinks that she is full of complexities, vanities, insecurities, virtues, vices and quirk and can be snarky and silly most of the times. The Book was a easy read. Started reading yesterday late night and then continued reading in the morning today and kept the book down only after finishing it. Did not take even half a day to finish the 194 pages. The narration is good. The story is told in first person. The protagonist is a Physiotherapist who then does MBA; just like the author. I can understand the reason why the author would select these professions for the protagonist. The minute details of the Medical field, the terms used etc. becomes easier. Having gone through the course yourself, you can do justice to such details. I loved the easy flow, the easy language, sort of reminded me of my Medical days. The scenes, the characters are well-described no doubt but the book seemed to be a little low on emotions and seems to be straight from a Bollywood movie. At least for me. The author has way with words and made me smile a couple of times. The author can definitely do better in her next book. Overall, read it if you like an easy-read in your coffee-break. Keep your mind open and do not expect much from the book. There are no hurdles in the flow of the story, no twists, a straight-forward love story with friendship element mixed as well.